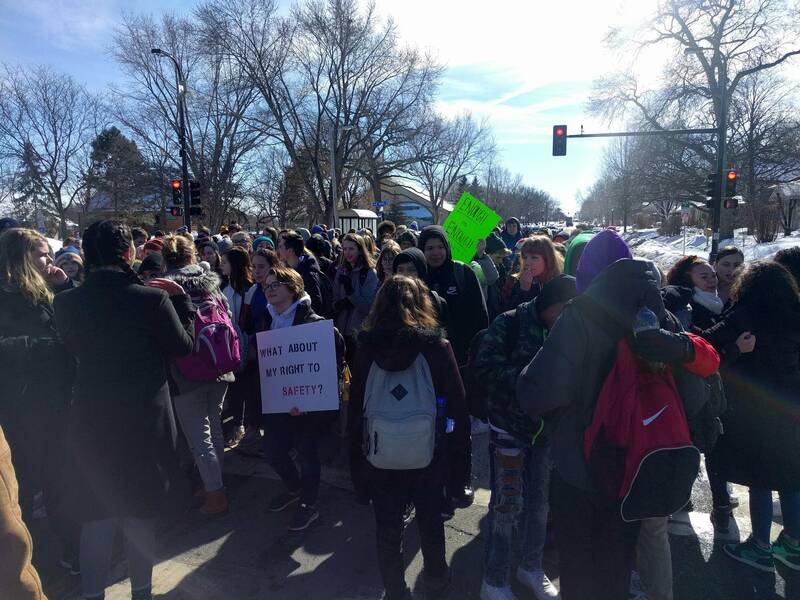 A couple hundred students walked out of school in Minneapolis Wednesday to call for stricter gun control. The students gathered just after midday in Rev. Dr. Martin Luther King, Jr. Park in south Minneapolis. Their rally happened on the same day as a demonstration in Washington, D.C. by students from the Parkland, Florida, high school where a gunman killed 17 people last week. The Minneapolis students brought signs reading "Not one more" and "What about my right to safety?" They chanted, "What do we want? Gun control. When do we want it? Now." Washburn freshman Isabel Kleckner helped organize students from her school to attend. "It's completely unreasonable that civilians should have access to assault rifles where they can go into schools and continue to shoot students who are there trying to learn. It just keeps happening, and after Parkland, students really took this movement," Kleckner said. 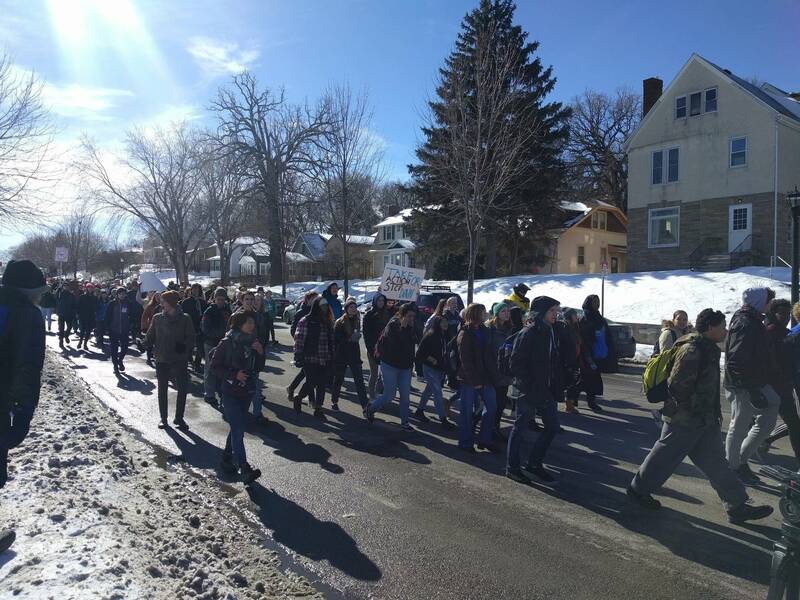 Minneapolis school board member Rebecca Gagnon marched with the students on their route up Nicollet Avenue toward Minneapolis City Hall. Gagnon said she hopes student movements can spark stricter gun control measures. "I wanted to come out and support their efforts because as adults we haven't been able to see real change in gun laws, but I think this is the opportunity," Gagnon said. Minneapolis school district policies do not discipline students for protesting peacefully, but on its website the district says students who walk out may receive an unexcused absence. Students are also not allowed to return to school for afterschool activities after walking out. District leaders said in a statement they're meeting this week "to discuss further considerations for national walkouts planned in March and April." Meanwhile, an online fundraiser to send Minnesota students to Washington, D.C., for a rally in March has raised more than $18,000. Minneapolis parent Joe Campbell started the campaign to send students from his alma mater, Henry Sibley High School in the West St. Paul-Mendota Heights-Eagan school district, to the rally.